Each time you make a reservation through this website, your reservation is made directly with Antonis Moulinos Apartments. As such, you are guaranteed the lowest possible rate, unlike reservations made through third party systems (whose prices include the given platform’s commission). To send a reservation enquiry directly to Antonis Moulinos Apartments click here! 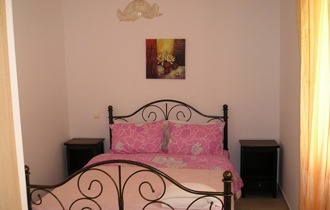 "Antonis Moulinos Apartments" is located on Corfu island on the cosmopolitan sandy beach of Glyfada. It is built in accordance with the island's traditional architecture and is 14km (8,8 miles) from Corfu Town and the airport. 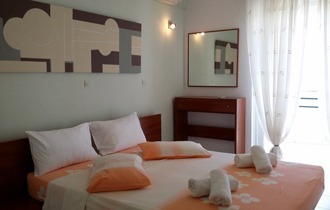 It offers fully equipped apartments that are tastefully decorated and can accommodate from 2-5 persons each. The apartments are in a complex whose amenities include a swimming pool, restaurant, bar, mini market, Internet Café and car rental service.